"Love the book. 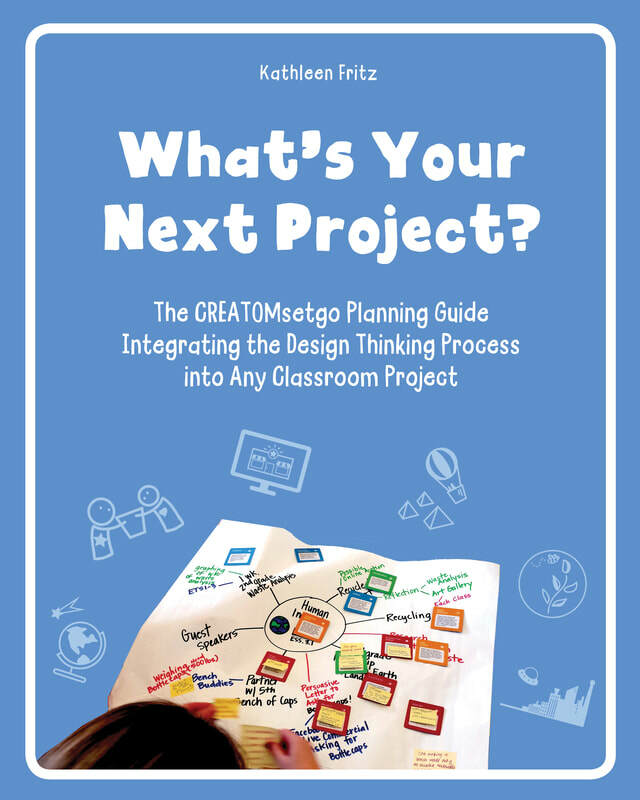 Love the CREATOMsetgo method of PBL design. ​It is a game changer for helping teachers at all levels design deep PBL." Order the Book & Save BIG on CREATOMsetgo! Get 10% off your next purchase of CREATOMsetgo Individual or Classroom sets. Here's how! Purchase a copy of The Ultimate Project Planning Guide Here! Take a picture of you, your classroom, your school with The Ultimate Project Planning Guide. Post the picture on our Twitter Feed @CREATOMbuilder with hashtag #CREATOMsetgo. We will message you the coupon code. Can't wait that long to order your sets? Don't do Twitter? Take a picture of your receipt and email it to info@creatombuilder.com and we will email you the coupon code. Meet Kathy and Learn More about Design Thinking for your Classroom!